Chandana Rao joined Outside GC in 2018. She has over 15 years of corporate and intellectual property law experience, in both law firm and in-house roles. She has worked extensively for both early stage and established companies, especially in technology, fashion, consumer goods, and retail, as both a legal advisor and business consultant. 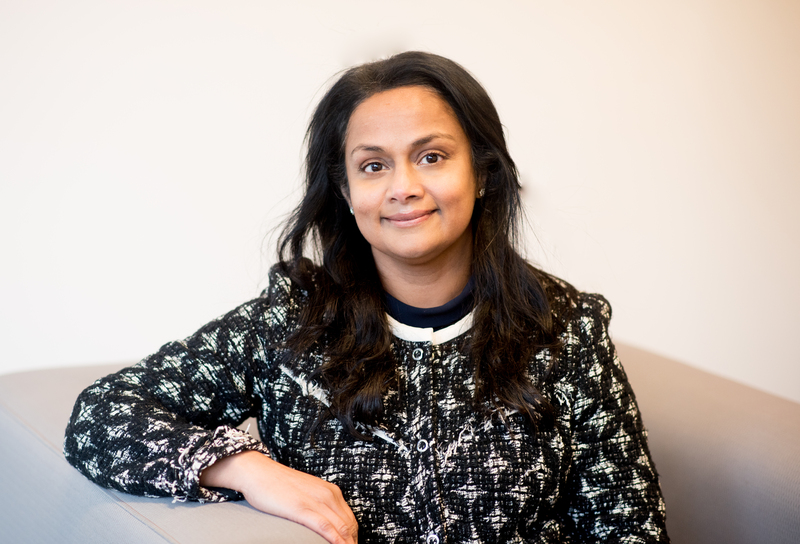 Before joining Outside GC, Chandana served as General Counsel at an early stage financial technology startup, where she advised management and the advisory board on corporate initiatives, risk mitigation, financings, commercialization, and other legal and compliance matters. As General Counsel, she negotiated technology related agreements with global customers and partners, including cloud, SAAS, reseller, development, marketing, license and maintenance agreements. She advised on, and negotiated convertible notes, and early stage financings (seed and angel). Chandana also advised on corporate and intellectual property strategies and created internal policies to ensure regulatory and legal compliance. Chandana was also Special Counsel at a boutique law firm in New York City, where she worked with startup clients through all phases of the business life cycle, including advising on appropriate corporate structures, intellectual property rights, technology related agreements, commercialization and financings. Her clients have included technology startups in various industries ranging from financial services, clean technology, to e-commerce and lifestyle. Chandana began her legal career as a patent attorney at a leading intellectual property firm representing global pharmaceutical and technology companies. She later advised on, and negotiated, technology transactions and conducted due diligence on intellectual property matters in connection with cross-border mergers and acquisitions at a global law firm. Chandana holds a B.A., in Biology and M.S. in Cell Biology from Rutgers University. She received her J.D. from Rutgers Law School – Newark, where she was the Business Editor at the Rutgers Law Review. Chandana is a member of the bar in New York, New Jersey, and the U.S. Patent and Trademark Office. Chandana is active as a Help Desk advisor at Rising Tide Capital, a non-profit dedicated to transforming urban communities by empowering talented entrepreneurs. Chandana lives in New Jersey with her husband and young son. When not helping startups launch, scale, and pivot, she enjoys discovering hidden home décor treasures and learning the intricacies of youth soccer.